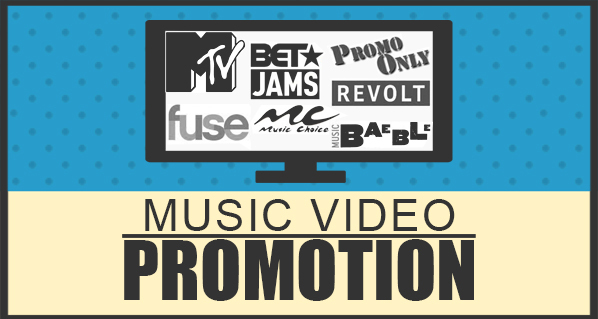 HIP Video Promo has earned its reputation as the most trusted name in music video promotion. With over 18 years of experience working with major and independent labels alike, including Sony, Universal, Warner, Merge Records, Polyvinyl Record Co, Matador, 4AD, Saddle Creek, Sub Pop, PIAS, Beggars Group and SideOneDummy, our marketing services are widely considered the best in the industry. And even though we champion some of the most exciting established artists today, we haven’t forgotten our roots. Up-and-coming, independent bands and artists get the same HIP combination of unmatched expertise and untrammeled enthusiasm as the superstars. Such epic talents as Pearl Jam, Queens Of The Stone Age, Interpol, Pixies, Kurt Vile, Method Man, Elvis Costello, and Mötley Crüe have all received the HIP Video Promo music video marketing treatment. We’re also proud to know we were on the ground floor with acts like The Lumineers, Sia, 30 Seconds To Mars, Death Cab For Cutie, Maroon 5, Armin van Buuren, Rich Brian, of Montreal, Sharon Jones and the Dap Kings, M83, Paramore and others on their way to stardom. We’ve established and maintained a rock solid, ever-growing network of contacts throughout the music video programming world, and are continually updating our comprehensive database of music video programming outlets, which cuts across all stylistic and geographic borders. The most important asset these days for any artist or band is increased awareness. Not only would we be exposing your music video on the many websites and blogs that we’d be pitching to, but also to the dozens of terrestrial television channels, retail pools and on-demand programming outlets (whether it be in the United States, Canada or Europe) that we have longstanding relationships with. We also pitch to numerous OTT channels (television delivered via the Internet) currently found on platforms such as Apple TV, Roku, Sling, Amazon Fire, and Google Chromecast, etc. This “one-two punch” approach is very helpful to your overall marketing plan to increase exposure and it will help you dramatically in securing the maximum amount of exposure possible for your current music video. The journey begins by reaching out to owner and president Andy Gesner to discuss your project and learn the full scope of the promotional services we offer! He can be reached at 732-613-1779 or via email at info@hipvideopromo.com. We encourage our clients to sign a terms of agreement prior to the start of the campaign. Though it has always been our goal to secure the maximum amount of exposure possible for our client’s videos, we are merely presenting the video to our programming outlets in a professional and compelling way, and in no way can we guarantee video airplay and/or placement on said programming outlets.